We are Kaisa and Christoffer and we come from Finland. You know, that little European country west of Russia and east of Sweden. You might not know a lot about Finland. And we don’t blame you for that. Not many people do. But it’s a good place to live. A little cold at times. And a little dark at others. But the people there are kind, albeit often quite shy. But we’re not here to talk about where we come from. We want to tell you where we’re going. Right now we are somewhere in the United States. We started off in New York City. 225 East 17th Street to be exact. And we’re heading towards San Francisco. How far we’ll get is anyone’s guess. But every day we aim to ride our bikes a bit further west. A little bit more about us? 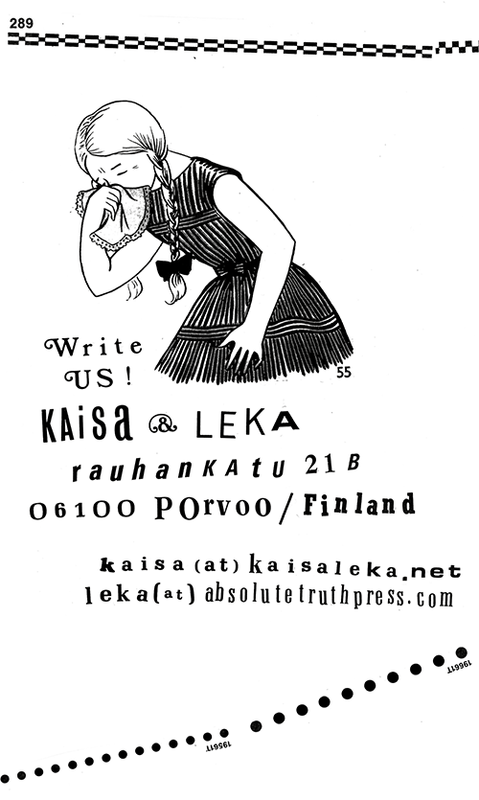 Well, Kaisa is a comic book artist, Christoffer teaches graphic design at a university of applied sciences. Together we write and publish books, many of which tell about our adventures. You see, when we’re not working, we’re usually on our bikes. To this day we’ve cycled around Iceland, through Germany, in all the Nordic countries, to Murmansk in Russia and to Odessa in Ukraine. We’ve ridden our bikes in Costa Rica and Poland. We’ve gone to France and Italy. But now we are here in the United States of America! Our goal is to experience this country in all of it’s breadth. And while we know that is a tall order, nothing is stopping us from trying. So please wish us luck. We’ll probably be needing more of it than we already have.